Through our proprietary discovery process, Marketecture™, we engage in a strategic analysis that helps clients understand how their company can be best positioned in the marketplace. CMA works with you to analyze your customers’ pain points and buying motivations, your competitive challenges and the marketplace forces impacting your company. 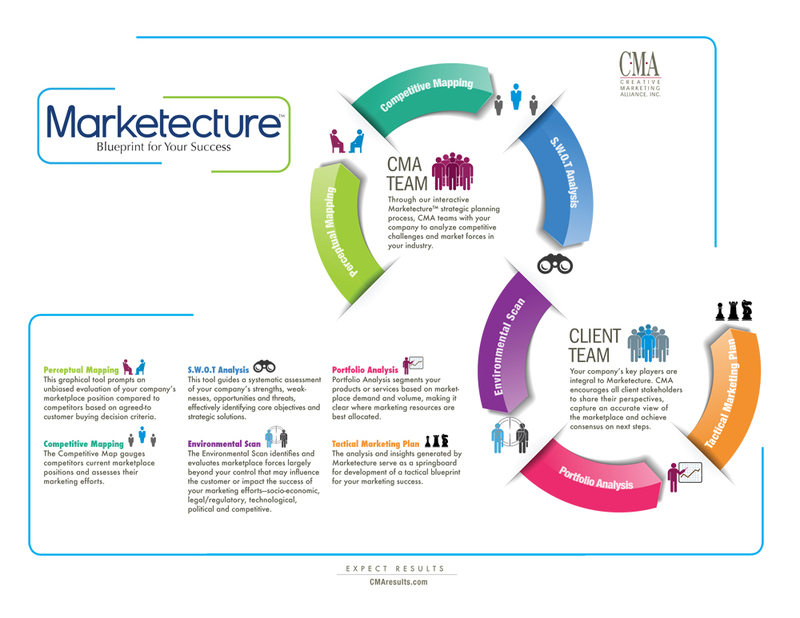 CMA then orchestrates Marketecture insights into differentiated positioning, compelling sales messages and, ultimately, a game plan of creative communications tactics that evangelize your brand and power your competitive edge. To get started on your blueprint to success today, click here. More of a visual person? View our infographic below.